Moong dhal provides high quality protein. Good for health and growing kids. u can replace Sambar with this Moong dhal Kuzhambu. Pressure cook yellow and green moong dhals with half-sliced onion,chopped tomatoes,garlic flakes,1 tsp cumin seeds,turmeric powder,3 green chillies,coriander leaves,3 cups water and salt upto 4 whistle or 12 mins. Meanwhile heat oil,saute mustard seeds,chopped half onion,curry leaves. Add tamarind extract, little salt and chilli powder ,let it boil for 10 mins. Add the cooked dhals,few coriander leaves and coconut paste with 1 cup water and cook for 5 mins. 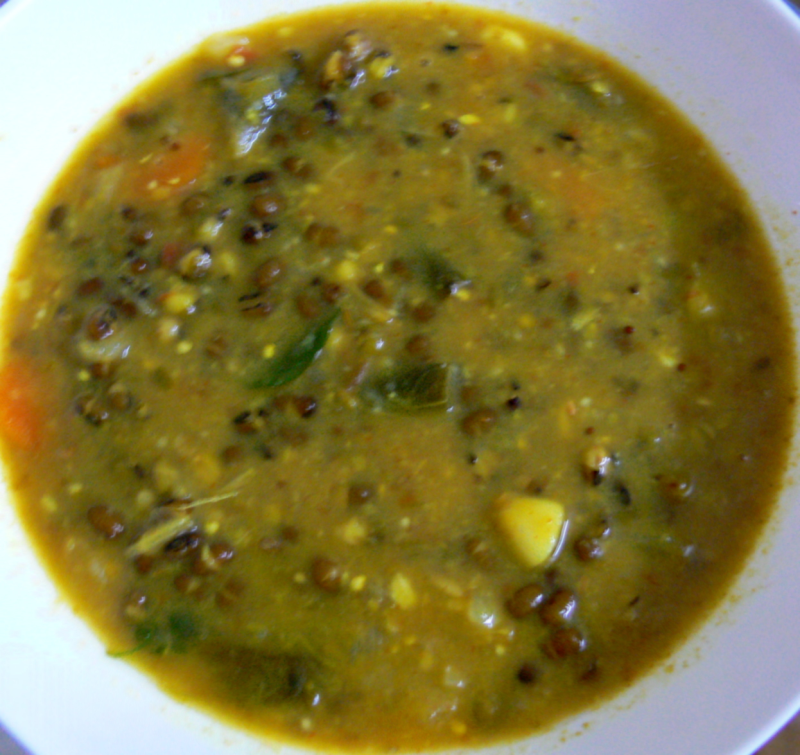 Tasty Moongdhal Kuzhambu is ready to be served with rice, idli, dosa or chapathi.